The 100 Top Law Firm Interview Questions: Revealed! Interview questions for legal roles can be divided into key and distinct areas. Your answers should always be tailored to the firm that you are interviewing for. Practice your response to the questions below out loud. Make notes. Aim to speak confidently and warmly without sounding like you are reciting. Reread your application and consider what the interviewer is likely to ask you about in the key areas below. Any particular highlights, any gaps or academic results that stand out – negatively or positively – are likely to result in further probing. If there is anything tricky you need to talk about, such as illness, bereavement or other personal factors, take time to consider how you wish to present the information without sounding anxious or upset. Honesty and matter-of-factness is key – you won’t be the first person the interviewer has met who has a personal story to tell. Lack of preparation is the most common reason why candidates don’t progress beyond the first interview, so it is vital to spend time getting prepared. This list of 100 potential questions will help to ensure you give your best possible performance. Typically, the questions asked at the start of a law interview are open-ended, conversational questions. This gives you an opportunity to guide the interviewer towards key points, perhaps beyond what was in your application. How you answer these questions will set the tone and style of the interview. You will not be asked all of these questions, but you should be well prepared to answer any that do come up. 2. How would your friends/colleagues describe you? 3. What is important to you in life? 6. What constitutes success in your mind? 8. Tell me something about yourself that is not on your CV. 9. What do you really want to do in life? 10. Would your social life or interests outside of work infringe on your work commitments? 11. What qualities does a successful solicitor possess? 12. How would you describe your ideal job? These questions should be answered with conviction and detail. You will need to convey some technical knowledge of how the legal profession works, how the firm you are interviewing fits into this, and how your skills and strengths could benefit the firm/department. Avoid cliches and think about how your personal attributes can be made to sound appealing and memorable. What will set you apart from other candidates, who likely will have similar academic qualifications and reasons for entering the legal profession? Research the firm and interviewer thoroughly beforehand. 13. Why do you want to work in the legal profession? 14. What do you think of law? 15. Why do you want to be a solicitor? 16. What experience has most influenced your career choice? 17. What attracted you to this firm/why did you apply to us? 18. What do you know about this firm? 19. Have you applied to anyone else? 20. What are you looking for in the firms you have applied to? 21. Are you hoping for specialisation in a particular field? If so, why? 22. How is this firm different from our competitors? You will need to show that you are qualified for the position you are interviewing for, that you understand what the role will entail and that you want to do the job, not just earn money. You need to show the interviewer that you are the best fit for the role. 24. Why did you choose your course/degree? 25. Did the course live up to your expectations? 26. Are you satisfied with your academic achievements to date? 27. Non-law graduates: What benefits, if any, do you consider your degree subject has to a career in law? 28. What achievements are you most proud of? 29. Tell me about your strengths. 30. What is the biggest mistake you have made and how did you deal with it? 31. What would you do differently if you encountered that situation again? 32. How do you go about organising your time and assessing priorities? 33. How do you motivate yourself when the pressure is off? You will also need to demonstrate that you can work in a team, within a department and within a certain management structure. 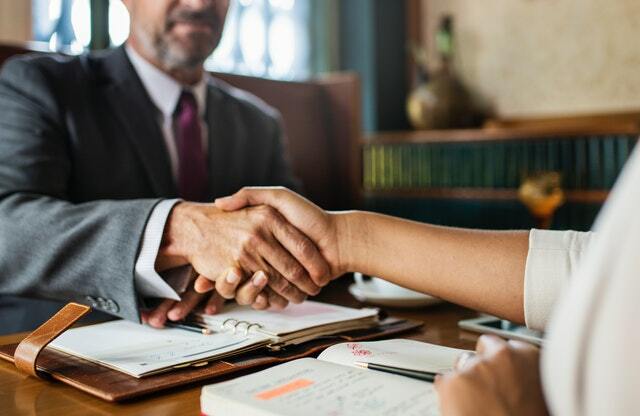 For early paralegal interviews, your interviewer will understand that you may not have worked in a formal workplace before so don't worry about using examples from volunteer work, internships, sports or other achievements. These can also help you stand out from the other candidates – if you have sailed the Atlantic this could be a memorable example (but do not boast). 34. Give an example of when and how you have worked in a team. 35. Give an example of a time when you were not in agreement with the rest of the team. How did you react? 36. Would you say that you usually achieve what you set out to? 37. Describe a situation where you acted on your own initiative. 38. How do you respond to change? 39. How do you go about handling difficult people? 40. If a decision goes against you, how do you take it? 41. Tell me about a situation when you had to meet a tight deadline. 42. Give me an example of a time when you had to negotiate to achieve the desired outcome. 43. What decisions do you find easy/difficult to make? 44. What other languages do you speak? 45. Tell me more about your IT skills. 46. What sort of management skills do you have? 47. Have you ever attended a court hearing or employment tribunal? 48. Which of your personal skills make you well-suited to life as a commercial lawyer? 49. What is your approach when attending networking events? 50. What are your hobbies/how do you spend your time off? 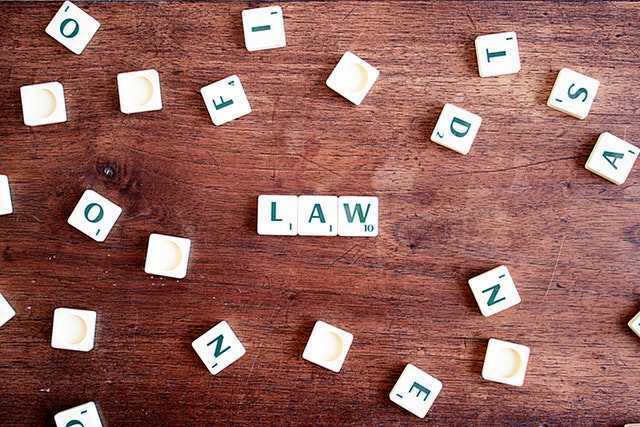 When interviewing for a law firm you will need to demonstrate commercial awareness, knowledge of current affairs and how this will affect the firm’s clients and work. You will also need to show that you are capable of critical thinking and, crucially, can represent the firm well in your conversations with clients. These questions will depend on many factors – including the firm and when the interview takes place – and will likely have no right or wrong answer. You will need to demonstrate that you have an understanding of industry issues, regulatory issues, economic issues, cultural and social issues as well as location, company identity, brand and company structure. You should aim to demonstrate practical knowledge of how businesses operate and the political landscape affecting the business world. No one is going to expect you to have a definitive answer to a broad question but the ability to summarise and link multifaceted ideas together is a key skill a lawyer should be able to demonstrate. 51. What advice would you give to a friend who wants to set up a restaurant? 52. How would you demonstrate to a client that you were commercially aware of their business and their needs? 53. What do you see as the main challenges facing the legal profession in the next few years? 54. Why did the financial crisis happen? 55. What do you think are key qualities a company must have in order to be successful? 56. How would you persuade a potential client to bring their business to this firm? These questions are very hard to prepare for, as they are likely to be unexpected and, sometimes, unrelated to law. They are designed to find out more about you as a person and how you think logically or, perhaps, whether you have good conversational skills, which are essential for a client facing role. You are unlikely to be asked these specific questions but it is a good idea to be generally prepared. When thinking of your answer, speak out loud to show how you are working it out. The actual answer matters less than demonstrating logical decision making. 57. What are your desert island essentials? 58. Describe yourself in one word. 59. How would your manager describe you? And now your best friend? 60. Which five companions, living or dead, would you invite to a dinner party? 61. What are the three main attributes for a successful commercial lawyer? 62. What impact do you think AI will have on the legal landscape? 63. What is the latest non-legal book you’ve read? 64. How many credit cards are there in the UK? No matter what role you are applying for, knowledge of the law and its application is essential. Not all of these questions will be relevant to every firm, but it's a good idea to be prepared to demonstrate your knowledge across a broad variety of aspects of the legal profession. Some of these questions will be designed to test your situational judgment. Make sure that you have read the Solicitors Regulation Authority’s Code of Conduct. 65. How do you see the future of the profession developing? 66. What does the rule of law mean to you? 67. How is a merger/acquisition structured? 68. When is an IPO a good idea? 69. Give an example of a recent commercial deal that captured your attention. 70. Which party/side in this deal would you like to work for and why? 71. How would you sell on services to a client? 72. You are alone in the office and a client phones demanding instant advice. What do you do? 73. You are alone in the office and a very important client phones demanding you shred various documents of theirs. What do you do? 74. What would you do if three partners all came to you with work they wanted you to do by 5 p.m. that day? 75. What would you do if you were Lord Chancellor for the day? 76. If you had a completely free choice, which law would you like to change and why? 77. If you could introduce any law, what would that law be and why? 78. Give me an example of a recent legal decision that you have disagreed with and explain why. 79. What do you think about the principle of Legal Aid? 80. Should clients have to pay for the services they use in all circumstances? 81. What do you know about the impact of the Human Rights Act on the law in this country? 82. What sort of advocacy experience do you have? 83. Tell me about a time when you advocated (or performed) poorly? 84. Why do you think you performed poorly in [the described] situation? 85. If you were a senior partner in this firm and the BNP came to you for representation what would you do? 86. What would you do if a client wanted to pay £750,000 for a house in cash? 87. How would you explain ‘the caution’ to a client with learning difficulties who is extremely agitated at having just been arrested? 88. Is the current 28-day limit for detention without charge in terrorism cases sufficiently long? 89. Should defendants in criminal cases have the right to know the identity of witnesses giving evidence against them? 90. Do sporting boycotts have any effect on governments’ human rights policies? 91. How do you feel about corporate tax evasion? 92. What legal apps are you aware of that could be implemented by the firm? 93. A fellow trainee reveals that they have been deliberately working late so that they can bill their evening meal to the client. What do you do? 94. If offered the position, how long do you plan to stay at this company? 95. What do you think about partnership prospects in the future? 96. We are not willing to give partnership prospects, what are your views on that? 97. What sort of salary are you expecting? 98. How do you feel about long working hours? 99. What is your notice period? 100. Do you have any questions for us? Don’t forget to ask the interviewer questions but, remember, don’t ask anything that you could have easily found out when doing your research. What is the Law National Aptitude Test (LNAT)?